There are a lot of people who used to love the Pontiac. They were heartbroken when Pontiac stopped producing new vehicle models. There are still a lot of Pontiac users right now. They use their old car models to cruise the road and to get to various locations. It is important that a Pontiac key replacement will be available. Your car key might be lost or it is not working anymore. We offer car replacements for Pontiac G3, Pontiac G8, Pontiac Torrent, Pontiac Vibe, and Pontiac G5. Take note that even if we have not listed your Pontiac car model, you can give us a call. We may offer some car services that you will need. You will not be disappointed with our key replacement services. Pontiac used to be one of the most popular car models. It was able to produce some memorable car models that people coveted for years. It was stopped in the year 2010 and a lot of people were disappointed that it happened. Some say that it was inevitable especially since it was against after brand giants. Do You Need Pontiac Car Dealership for Pontiac Key Replacement? You may want to know more about key replacement because you actually want to replace the lock and key of your vehicle. You may have lost your keys too and you need the replacement soon. It used to be easy to just contact the car dealership and get your car key replacement. The Pontiac division has already been closed down. This will make it harder for you to get assistance. There are still some car dealerships that offer key replacement but expect that the prices are going to be very expensive. This is not the best option if you do not have a lot of money. You can still ask about their fees but we can promise that we at Bobcat Locksmith can offer the same services for a much cheaper price. We know that you do not want to get stuck out of your car. There are different reasons for this. You went out of your vehicle to purchase something but you lost your car keys. What if you have forgotten your car key inside the trunk? You may have even left the key in your ignition. You can always contact us for your car locksmith issues. Just give us a call and we will strive to be there. You can give us a call and we will do our best to help you. Our automobile locksmiths are all mobile locksmiths. This means that they can get to your location in about half an hour or less. It will depend on your current location. You can call anytime and you can expect that our locksmiths will be there. We have a team of professional locksmiths that are knowledgeable and skilled to accomplish providing key replacement for your vehicle. We understand how important time is for you. We do not want to keep you waiting so the moment that your key replacement is ready, you can use it. It will depend on you if you want to use it immediately. In times of emergency, you probably do not have much choice. The key replacement will make it possible for you to use your vehicle again. The process will take longer if you need Pontiac key programming. This is important if you have a recent Pontiac car key. A lot of the traditional car keys do not need Pontiac key programming anymore. There are some Pontiac car keys that do not look like they need to be programmed. Upon closer inspection, the chip will be evident. Your car key needs to undergo Pontiac key programming so that it can be used again if it has a chip. What if It’s not Your Key? If in case you do not need key replacement and you need other car services, let us know about it. Take note that you cannot contact the car dealer anymore for problems that are unrelated to your car keys. A lot of people realize that there is something wrong with their ignition even before the ignition breaks down. For example, there may be moments when the ignition would not respond even if it is started. If you have encountered this symptom too, call us immediately. Our locksmiths will be able to assess the situation and do the necessary changes. There are also moments when your Pontiac key and your Pontiac ignition break down at the same time. This is something that we can help you with. You can give us a call and we will fix the problem at the soonest possible time. 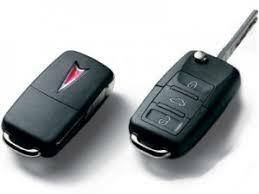 Any problem with your Pontiac key and we will provide what you need. If you need key replacement, we will supply that at the soonest possible time. Just ask us about our auto locksmith services. Our professional locksmiths will be able to provide all of the details that you are searching for. Let us say that your car needs Pontiac key programming. We will provide that in less than 30 minutes. The newer Pontiac models already have key FOBs. 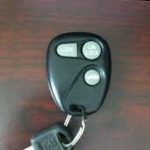 We know that Pontiac key programming is still important even if your car is about 10 years old or even older. Contact us regarding the model that you have and we will do our best. We offer Pontiac key programming if needed. You can just give us a call and we will do our best to provide the services that you are searching for. It does not matter what type of key you have. We will offer the car key replacement services you are searching for. The best thing about Pontiac key replacement is you will get your key the same day that you had it made. You can use the key to get your Pontiac working again. Contact us for more information.